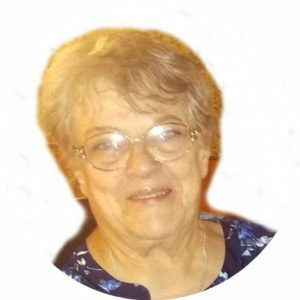 Mary J. Plunkett (nee Stratico) passed away peacefully on Thursday, July 26, 2018. Born in Brooklyn, she eventually moved to Staten Island, NY with her husband, John. She was a mother to her two children and a homemaker. Mary had many interests in life, she enjoyed gambling at Atlantic City, playing cards with family and friends, she was also known as the Kitchen Witch and she loved to cook but enjoyed teaching others. She also liked anything that had to do with the history of American Indian and traveling to Lake George. Mary liked the sport of shopping and she was also a member of the Swim Club but her heart belonged to her family which was her true enjoyment. Mary is survived by her husband, John, her daughter, LeeAnn (Nicky) Moreback and her son, John (Megan) Plunkett. She also leaves to morn her two grandchildren, TJ and Brianna Plunkett and a sister, Irene Sessa. Funeral from Cherubini McInerney Funeral Home, 1289 Forest Avenue on Monday at 10:15am with a Mass at St. Clares Church. Family and friends are invited for viewing on Saturday and Sunday from 2-4pm & 7-9pm. Private cremation to follow.